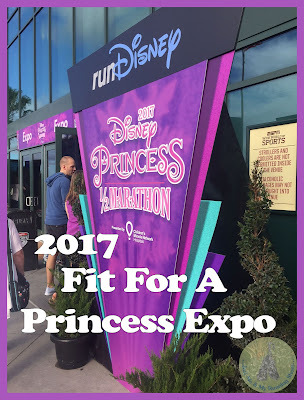 To kick off my recaps of 2017's Princess Half Marathon Weekend, here's a look at our first runDisney encounter of the weekend, the Fit For A Princess Expo! 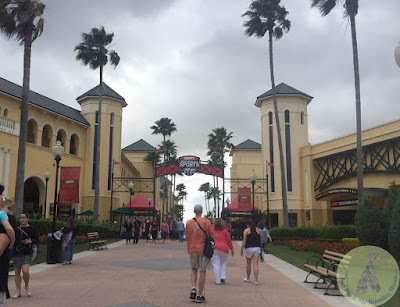 Our travel plans this year landed us at the Orlando airport right around the time of the first day's opening of the expo. Instead of rushing, we decided to skip the crowd, stop by our hotel first, then hop on a bus to the Expo. When we arrived, the crowds had somewhat died down and although there were a lot of people, it wasn't overwhelming by any means. It felt SO good to be back!! 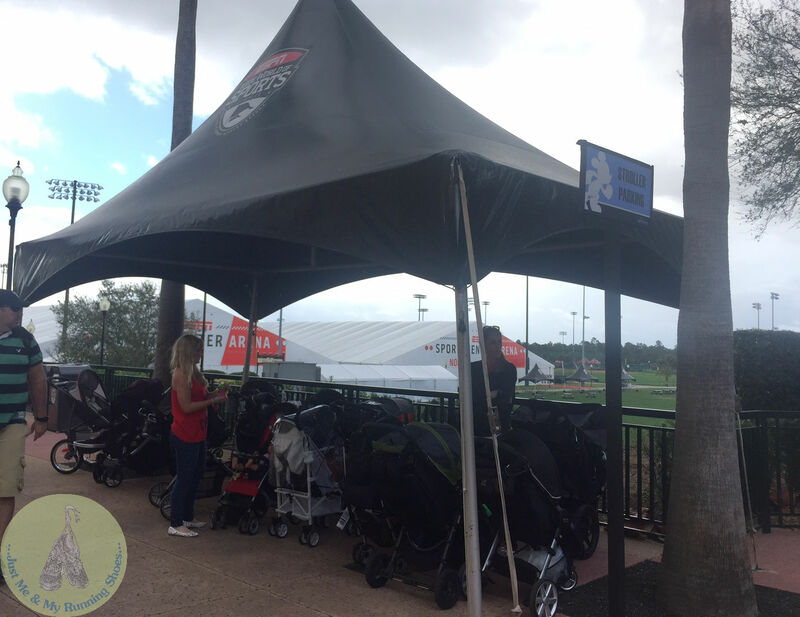 Something new for us this year involved stroller parking. 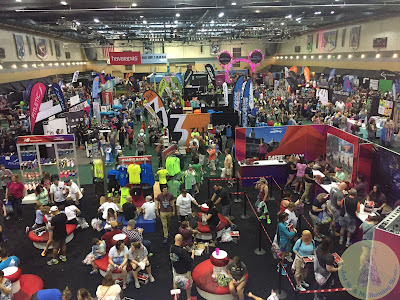 I remembered that strollers weren't allowed inside the expo hall and I brought along our baby carrier just in case (it definitely came in handy)! 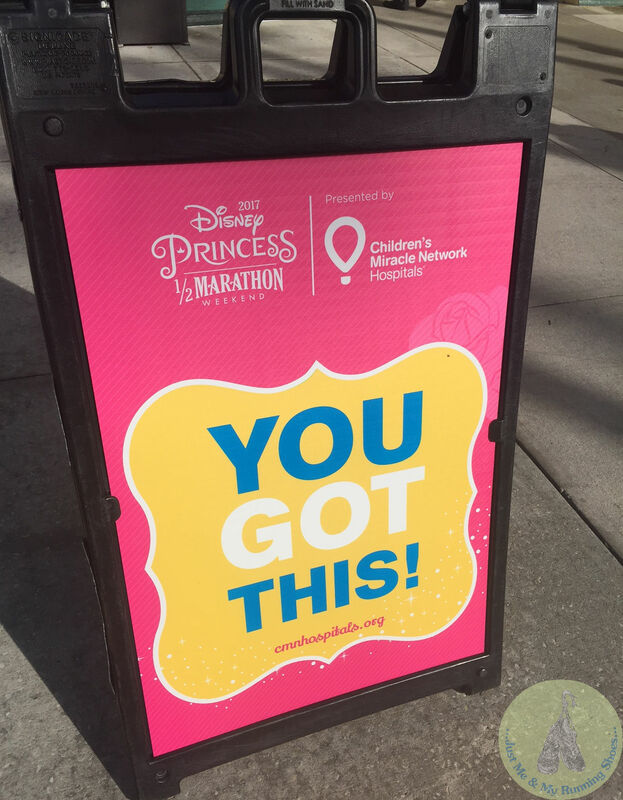 I loved all of the motivational signs that were displayed throughout the grounds of ESPN! Immediately upon entering the Field House, we saw evidence of this year's theme! 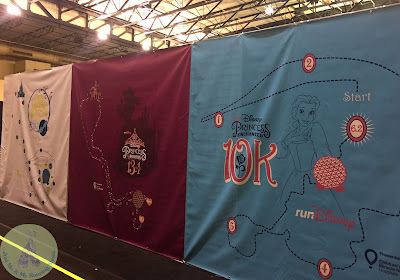 After a few pictures, we split on our separate ways to pick up bibs - I was headed to the Glass Slipper Challenge and Kids Races areas and my parents and husband to the 10K area. When my husband rejoined me, he told me that a friend of mine (Shelli) bumped into him and told him to tell me hi. I went back to try and find her but I missed her completely. Sad times. 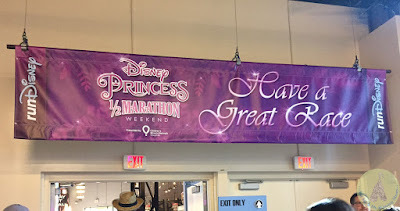 It was able to pick up the shirts for myself and Brayden here, but my parents and Jason had to go into the actual Expo floor to pick theirs up which was slightly confusing. That baby carrier sure came in handy! 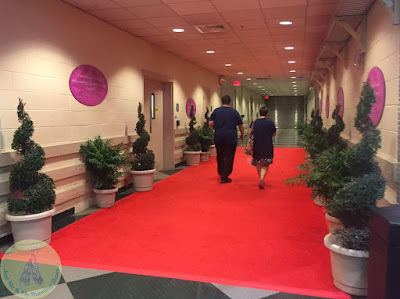 I enjoyed taking pictures and Brayden...well, he enjoyed the sights and sounds of the expo madness! I also browsed (and shopped) the Official Merchandise area before calling it a day. Even though we didn't make it to the Expo until around 3 p.m., I still found that they had an adequate stock of items for all of the races! I am also glad we decided to forgo the early morning madness and wait until the afternoon to attend. 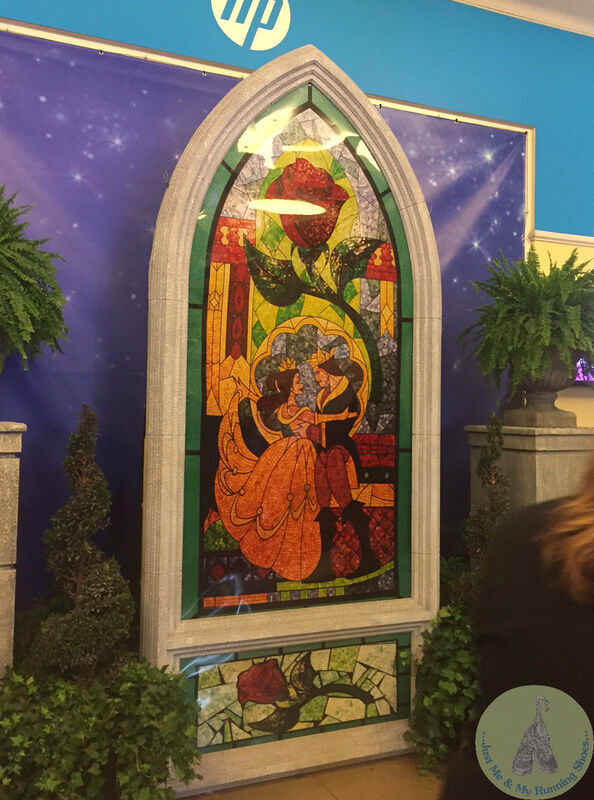 I had a great time at the Expo and always look forward to the next one! My mom was alone because the boys didn't want to join her. Silly boys. Brayden had to have his picture, too! ...and of course I had to take a picture the Glass Slipper Challenge banner! 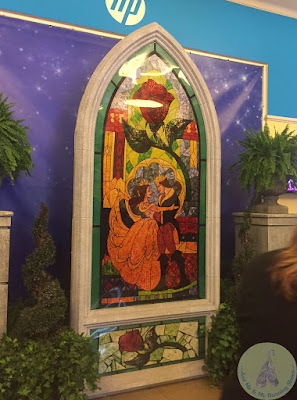 That's it for the Expo! We had a great time and like I mentioned before, I can't wait for the next one! So exciting. 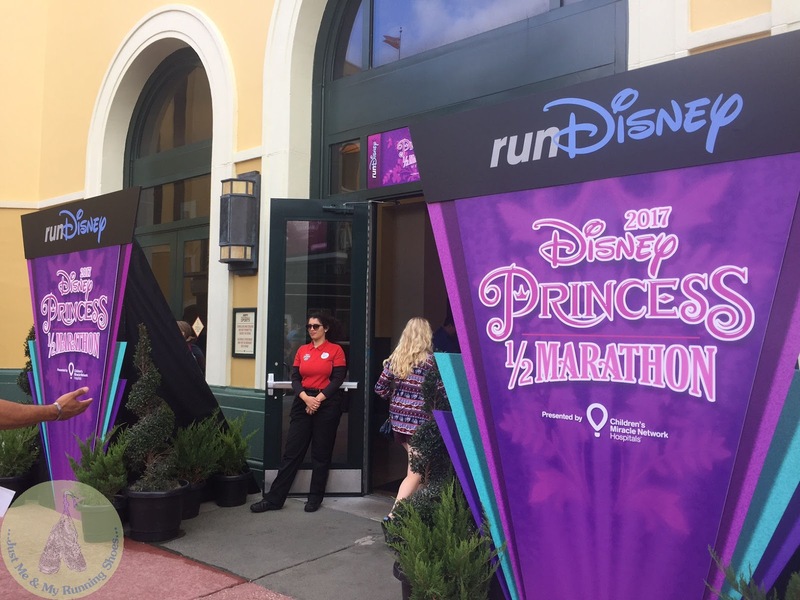 One day the dates will work so I can run a disney event. :) I hope so! They are so much fun! So glad to hear that the official merchandise was well stocked, even though you went in the afternoon. During Wine and Dine weekend it seemed like they were constantly restocking things, which I was so glad to see. YES! I loved that too! I like the "I did it" shirt you got. It's nice than years past (in my opinion. Can't wait to hear about all the races you and your family did! Thank you, so do I! The "I Did It" Glass Slipper Challenge shirts were so similar to one I have from a few years ago, so that's why I went with the PHM one instead. Looks like lots of good loot at the Expo. 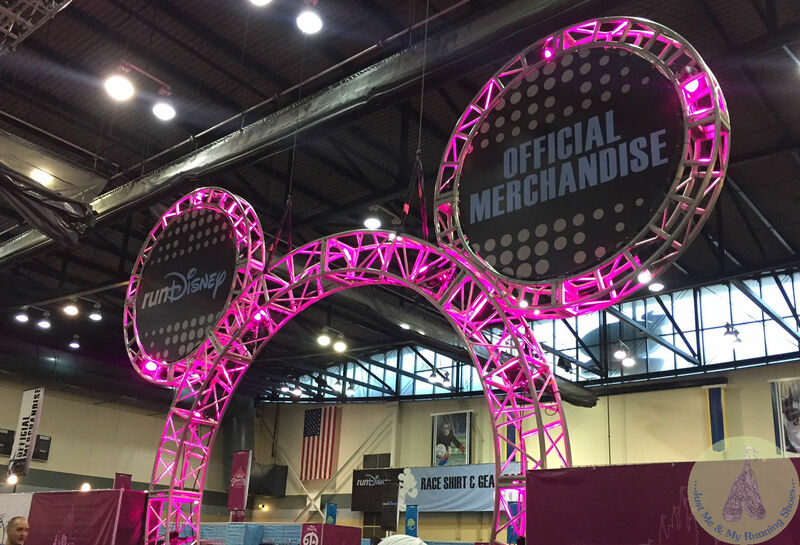 I haven't shopped at the Disney expo for a while, but I never go right when it opens. I also wait for the crowds to thin a bit. I agree, I don't like fighting the crowds! 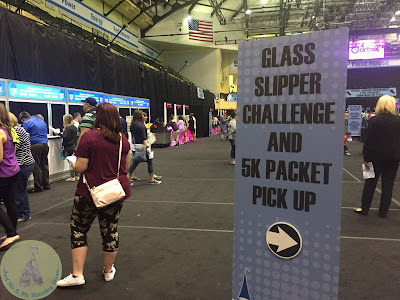 I went to the expo Saturday morning, and they still had glass slipper merchandise! I was shocked it hadn't sold out! Glad the baby carrier worked. Aww thanks so much! I'm glad you didn't have to fight the crowds! :) Sorry about the Tervis tumbler! I would say to look on ebay but nevermind...they are crazy!